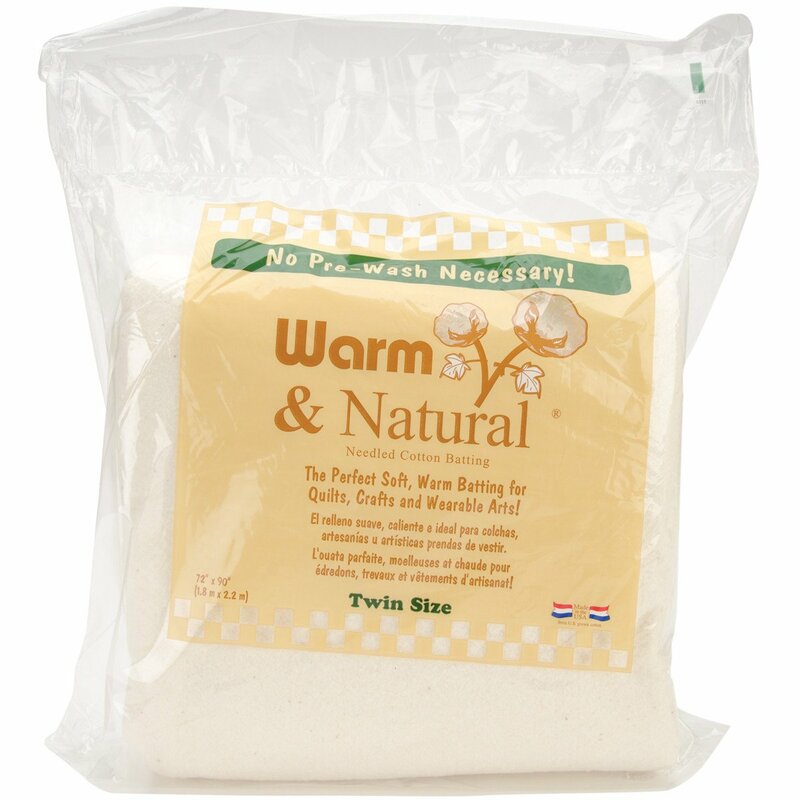 Warm & Natural Cotton Batting - Twin Size - 72" x 90"
Home > Notions > Warm & Natural Cotton Batting - Twin Size - 72" x 90"
THE WARM COMPANY - Warm and Natural Cotton Batting: Twin Size 72in x 90in. This batting will not separate, bunch or beard. This 100% USA grown cotton is punched with hundreds of needles through a thin base material (polymer fibers) to prevent tearing; shifting; migrating or creeping through the cover fabric making it 87.5% cotton/12.5% polymer fibers. Needled cotton's flexibility makes it ideal for both inside and outside use. Fibers are held together without glue so a quilting needle glides easily through the batting. What an incredible difference! No need to pre-wash; machine washable after quilted; quilt up to 10in apart; easily dyes and your fabric will cling to the batting while quilting. Made in USA.